The news of an accident or of death, both of which are inevitable, can instill fear in our minds. Even with the best roads and great safety standards in our vehicles, road accidents seem to be on the rise and the number is alarming. These days, newspapers appear incomplete without news of accidents. A journey on the road has become so dangerous that stepping out of our houses and returning safely back can be considered a miracle. Whenever I step out of home, my parents remind me to wear the seat belt when I drive or wear the helmet If I’m riding my bike but, no matter how much care I may take, I have no control on what may happen especially with the reckless motorists I encounter everyday on roads. Losing someone to death can be painful; more so if that someone is dear and the death was sudden and unexpected. The pain of that loss can last for long causing deep emotional wounds until time takes time to heal that pain. I would imagine every person reading this may have lost someone or the other to accidents like I have. Not many years ago, I lost a childhood buddy when the bike he was riding in skid and he died on the spot. This was only when he and I were in our teens. His head was crushed so badly that his death is something I cannot forget to date. Recently in March, I lost a friend to a horrific bus accident in Mangalore. She was run over by a bus causing her death under its wheels. Barely a month later in April, I lost another friend in an equally horrifying car accident in Hyderabad. He was driving his car when he lost control of it and the car tumbled multiple times leading to his death instantly. To me the loss of these friends at such a young age and so suddenly is burdensome and unbearable. I dread to imagine the pain and agony their parents and loved ones must be going through. The reasons for road accidents can be many and varying like bad roads, over speeding, overtaking, drunk driving, driving recklessly, running red lights, weather conditions like heavy fog or rains, use of mobile phones, avoiding safety gadgets like seat belts and helmets but no matter what causes these accidents, losing someone dear can be very devastating. Saddened with the loss of my friends whose memories kept constantly lingering on my mind, the musical genes in me kindled and I thought of doing something about it musically. My friends Wilson and Vanil readily agreed to make a Konkani song on this sensitive yet important subject. Wilson Kateel penned down meaningful lines which Vanil Veigas transformed into a beautiful song by giving it soulful music. I vividly remember that morning at the studio when we were recording the song, my heart felt heavy and my eyes were moist. My voice appeared to be choking as I sang “Udon Podon”. The song with very touching lines, is asking the modern roads to show mercy on people and spare precious lives from its dangers and jaws of death. “Udon Podon” is available on you tube at https://youtu.be/FicIL3jFfQ0. I hope the song provides some comfort and solace to those who have lost their near and dear ones on roads. 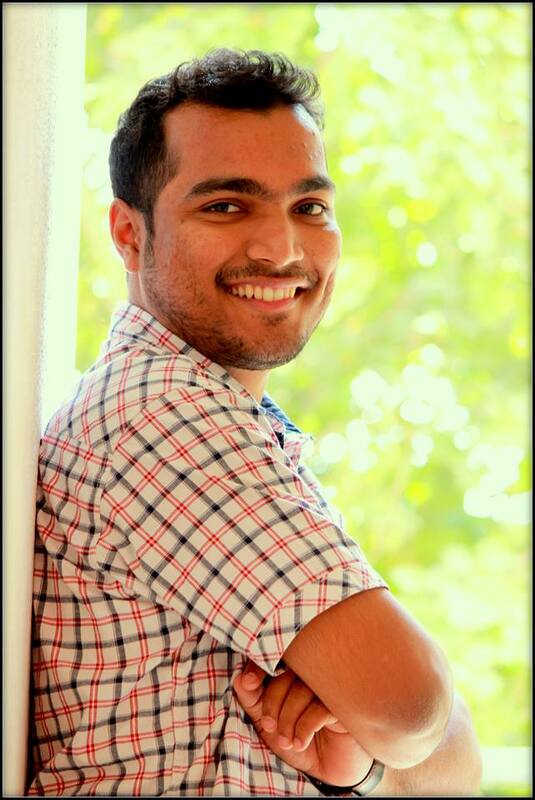 Prajoth D'sa from Udupi is a software engineer by profession based in Bangalore. He is a talented new generation singer with many musical shows to his credit having performed live in and outside India. He is the first person in Karnataka to have recorded an Acapella, a form of music played without instruments. Popularly known as "Sonu Nigam of Coastal Karnataka", Prajoth has lent his voice to films, albums, jingles, TV shows, campaigns and radio channels. Music no doubt is Prajoth’s first passion but writing is something that he had always had an interest in but never attempted at. With singing and music assignments taking most of his time, writing only remained on his mind until the recent turn of events when he lost his friends to accidents compelled him to write this piece of article. This article is his maiden attempt and we hope to read more of his writings.